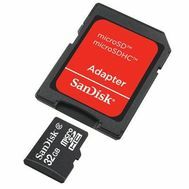 Sandisk B35 Bulk Envelope Package 32GB MicroSD Memory Card. Non-retail packaging. Include adapters.